If you have a question not answered here, send us a message using any of channels in the Contact Us page. Hackerspace? What is a hackerspace? Hackerspaces are a large set of differing places, with one ubiquitous feature: a community of enthusiasts. Hackerspaces are so varied that this feature is probably the only element that is shared among every hackerspace. Hackerspaces can be found that are involved with every technical niche you can imagine. However, there are some hackerspace types that are more common than others. Some of the more common hackerspace are computer technology, industrial art, robotics, and electronics. 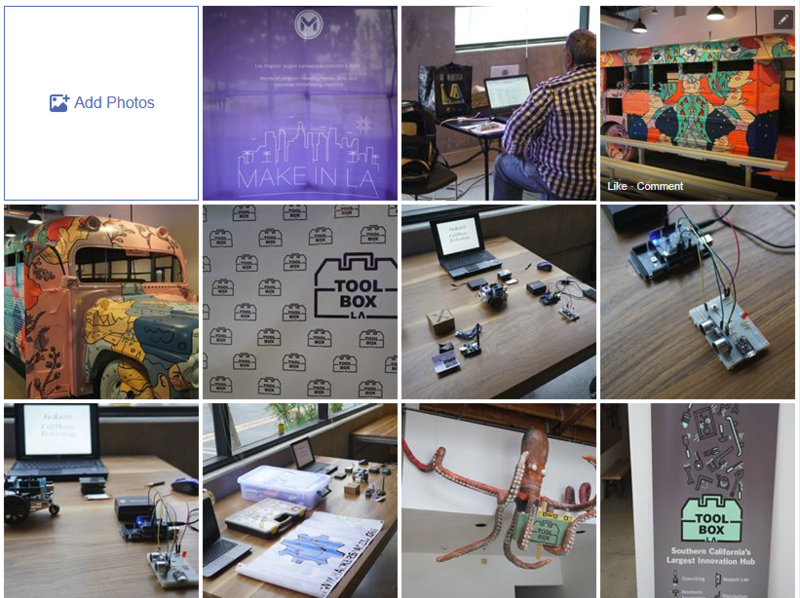 How do I become a Hackerspace LA member? Fill out the membership application and liability waver forms at our next meeting. After board approval you will be sent an email with next steps and payment information. In the meantime feel free to come by and join in the fun! What are the benefits of becoming a Hackerspace LA member? The greatest benefit is that you will be in a community of like minded individuals that will share their knowledge and skills to help you accomplish your goals. Access to a bunch of creative and technologically apt community is our greatest asset. There are four leveles of membership and their benefits are as follow. Access to an amazing group of talented people. Access to our members only Slack channel. 24/7 Access to the facility and shop tools whenever a keyed member is present. 10% discount on Classes that have material fees. 10% off at the Hackerspace LA store. Discounts on SparkFun orders made through Hackerspace LA. Discounts on Adafruit orders made through Hackerspace LA. Free admission to paid third party events when you volunteer to staff out table. All the general membership benefits but access is restricted to weekends 8 am – 6 pm. All the general membership benefits but access is restricted to Monday through Thursday 12 pm – 6 pm. 24/7 Access to the Hackerspace LA shop. Free Classes with 50% discount on materiel fees. Early bird access to tickets for limited space classes and events. Free admission to most Hackerspace LA paid events. Your own locker (subject to availability). My mommy didn’t raise me to be a “HACKER”, why should I join? The term hacker has been dragged in the mud over the years by the actions of individuals that have no regards for the Hacker code of ethics. Being a hacker conjures having a pretty bad reputation these days. We are working to change that. We offer all kinds of classes and workshops within our space, ranging from couture to basic circuitry, CNC and 3D printing. Don’t be intimidated! We all have to start somewhere, and we can all learn something from each other. By our definition, hackers are people who are interested in learning all they can about the fields that interest them, explore the bounds of those interests, and create new and interesting ways to apply that knowledge. We are looking for hackers of all kinds, with diverse backgrounds and interests. There are no requirements for background knowledge. You do not need to be an expert in any given area of computing, science, mathematics, or art. In order for such an environment to thrive, we do require, at minimum, honesty, respect, and an open-mind. That’s it! Don’t want to join but I dig what you are trying to do, How can I Help? Come to our meetings! Help us out in our early stages of development. We welcome equipment donations that are useful to our members and our space, such as chairs, tables, useful networking equipment, a projector, and more. You can find a list of items we are currently looking to acquire here: Hackerspace LA Wishlist We also take monetary donations via payPal.